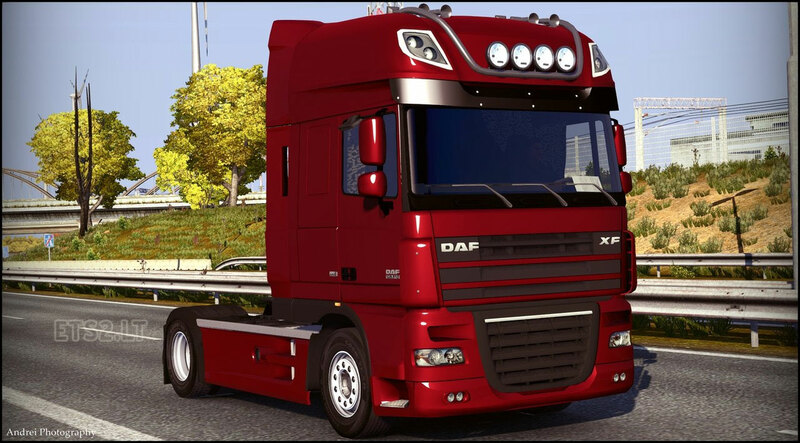 Truck with realistic mirrors, sunshield, tuning, lightbars, metallic and wheels. Nice! to next update can you change bumper on it? the plate on dash is not visible from outside; could you remove it completely? In night dashboard is pink!